How I came to Radwell: During my freshman year at college I emailed Brian Radwell looking for a summer job. He directed me to Steve Wallace and I got a position helping out in production. That first summer I did anything and everything that was needed. 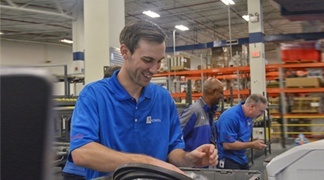 I delivered manual recs, organized the order shelves, cleaned units, worked with speed line testing and approving parts for orders, picked in the warehouse and just generally learned the ins and outs of the production department. Then I came back a second summer doing much of the same, until I was moved into a PLC tech role, evaluating, testing and fixing surplus orders. 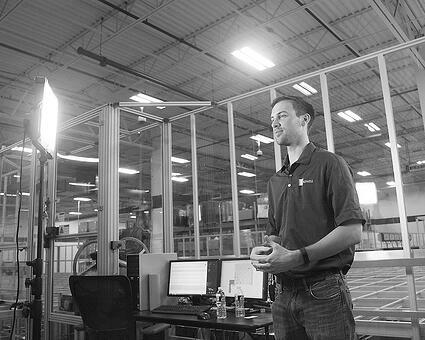 There I continued to expand my knowledge of automation equipment and learned much from the other technicians working around me. At the end of those summers I would go back to school encouraged to learn about engineering and technology. Through school, working at Radwell and Bowen I have learned the importance of improvement processes for technology, people and business. These things are important to me and are partly how I ended back up at Radwell. Describe your position at Radwell International. At Radwell I started out in a management training program which was designed to take you through each of the departments learning the ins and outs of each. Once completed the expectation was to have a working knowledge of all the departments and be able to jump in and help manage any department. Part of the way through the program I was asked to look into automating our shipping process while continuing with the program. This soon expanded to include responsibilities for the Autostore system which pushed me out of the program entirely. Soon after that we found the Express-Scripts building in Willingboro and I was asked to help design the layout and understand the automation potential. As you know, we purchased that building and after about a year of work we are now up and running in our new home! My position has been to design, facilitate, and manage activities necessary to get us into the Willingboro building. Currently, I am working with Jim Jackson and the external team to help get our branches planned and setup as well as continuing to tweak and improve the Willingboro location. By far the most interesting part of my job is being able to see something from idea to drawing and then bring that into reality. The headquarters building in Willingboro, NJ is a perfect example. It started out as an idea, evolved into a drawing (or set of drawings) and then eventually it became what we see today. Creating solutions and solving problems is another part that is extremely rewarding. It can be extremely difficult but extremely rewarding when you get it really right. Okay, it’s bragging time. What is something you are most proud of that you have achieved in the past six months. It is obvious that I am proud of how far this building project has come, with the Swisslog Autostore, the automated shipping system, inventory racking, production layout and building layout in general. However, I am most proud of the foundation that was laid for Radwell employees to grow and expand not just the company’s abilities but their own abilities and knowledge. This I believe is the biggest win of this past year. There is so much potential for growth in so many ways that we never would have had in the Lumberton building. What we will do from this point forward is definitely something to be excited about. How does your team contribute to getting the job done for the department you manage? Over the last year I have had the privilege to work with many different people. In each case, team is the best word to describe how we accomplished tasks. From renovating the building to inducting into the Autostore every person that I have worked with has made great contributions to not only the team we were on but to Radwell as a whole. I hope to continue to work with great people moving forward, and continue to excel with each team that I have the opportunity to work with. 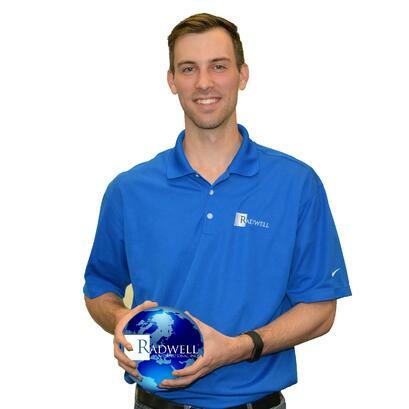 What is your favorite thing about working at Radwell? My favorite part about working at Radwell is the culture and the drive to continuously improve. For me, these two things are tied together. Improvement drives culture just as much as culture drives improvement. There are not many places that put such an emphasis on people as Radwell does. It’s a good thing because it has enabled us to come together in so many different situations so that we can continue to win. There is a saying that helps explain improvement and it goes; work is work because it is not easy. If it was, then it wouldn’t be work. Our drive to continuously improve enables us to have a great culture and the potential to grow in what we are doing. Having both flourish at the same time and being a part of that is what I like most about working at Radwell.